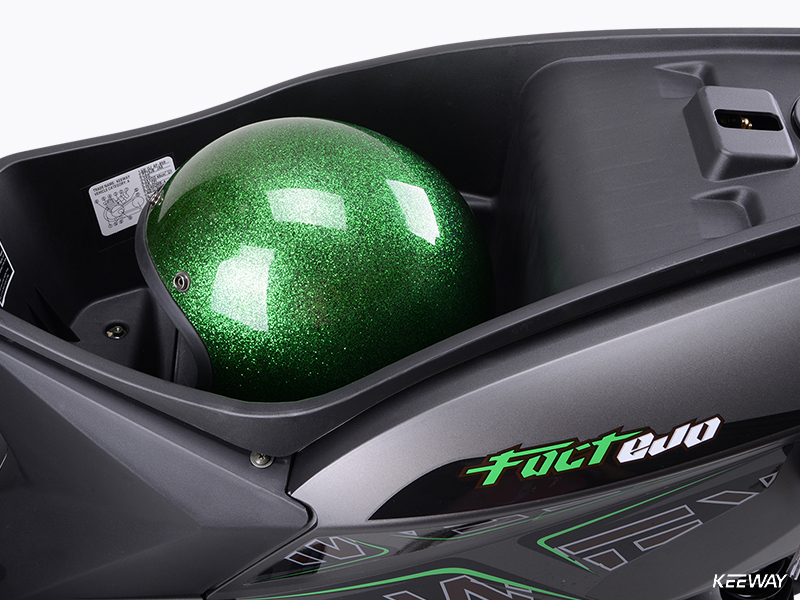 Fact Evo 50 - Keeway Q.J. 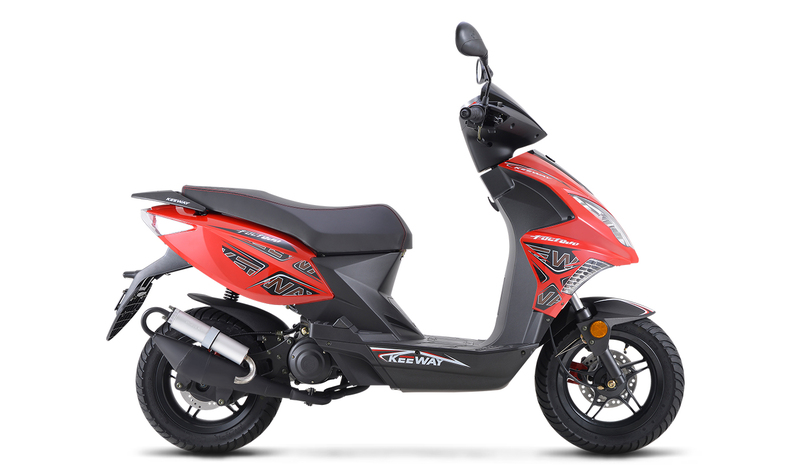 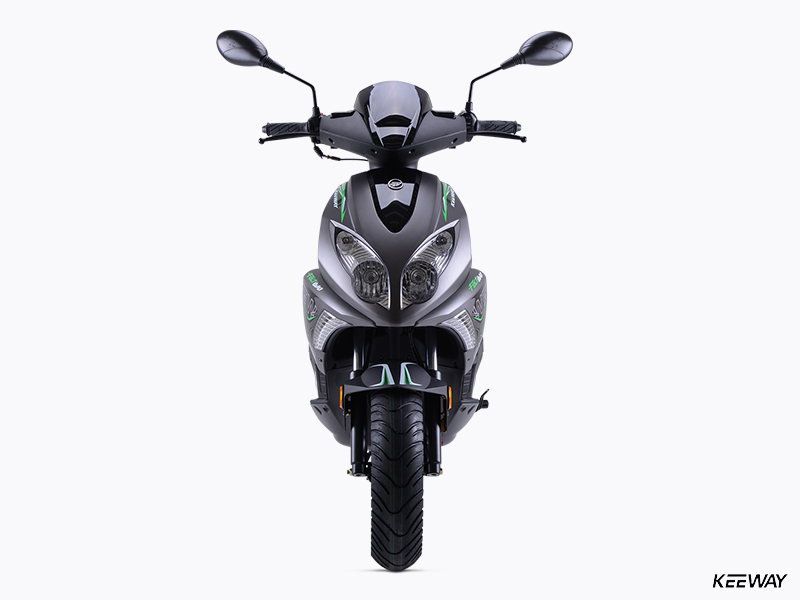 Much like the RY6, Keeway’s F-Act Evo 50 is a thoroughly sporty scooter, one that will appeal in a big way to sportbike or racing fans. 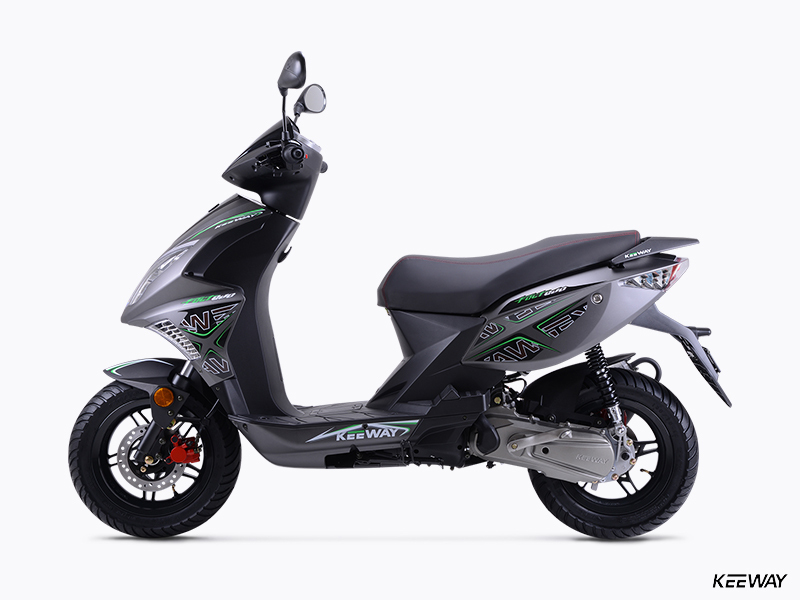 With curvy and sporty bodywork painted in multiple colors with sportbike-like graphics over the top, the Evo 50 features a long list of cool features. 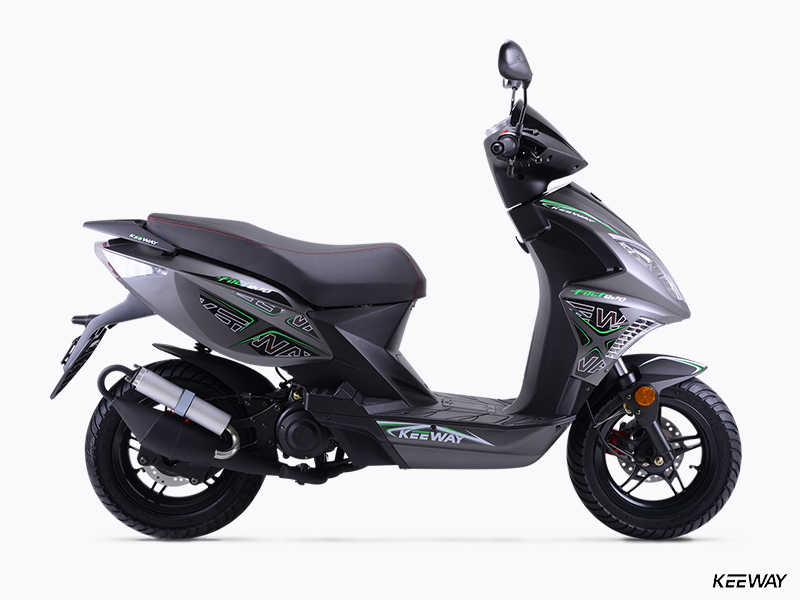 These include a 49cc two-stroke engine that sounds a little like the GP racebikes of yesteryear, and which makes impressive power given its tiny displacement. 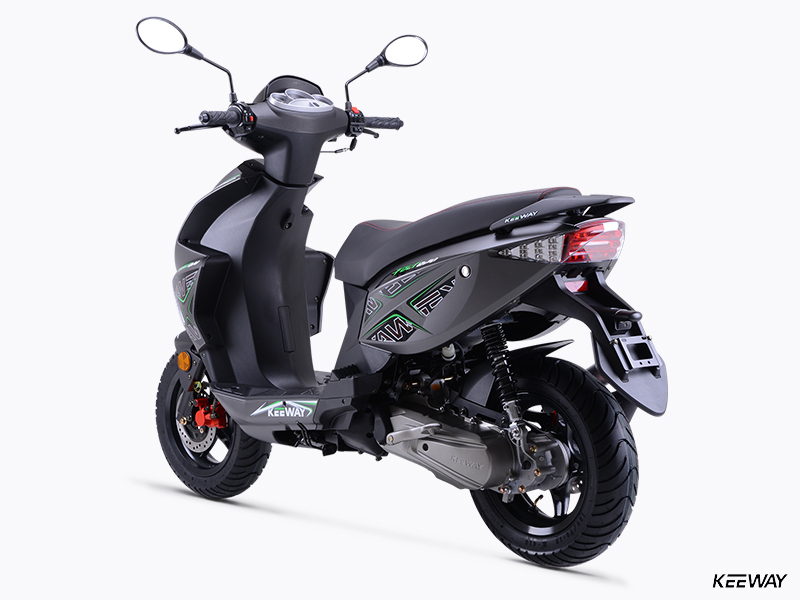 There’s also 12-inch cast alloy wheels, with are strong and light and which hold powerful brakes, a disc unit up front and a sturdy drum unit in back. 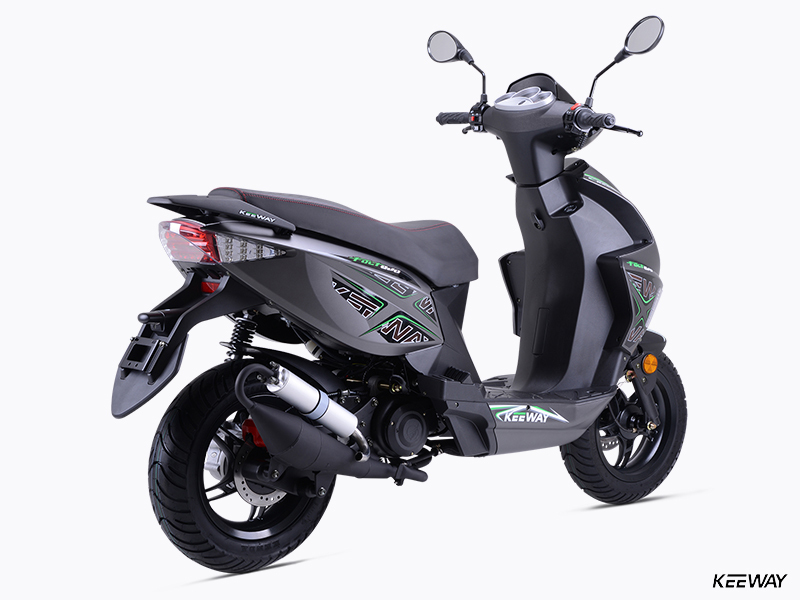 Grippy tires keep going in any weather, while the plush seat, roomy riding position and supple suspension action keep you comfy all the way. 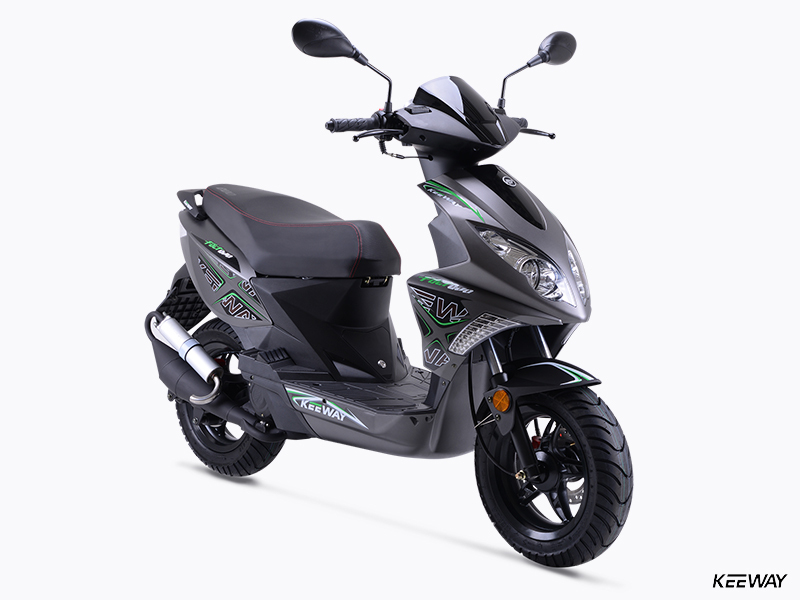 If a sporty scooter is your thing, you can’t go wrong with the F-Act Evo 50. 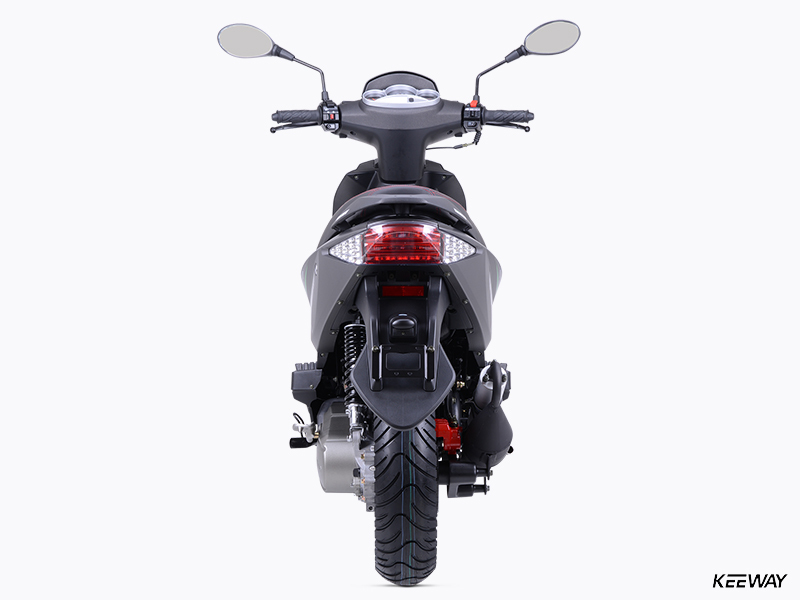 A compliant telescopic fork up front and a single-shock system in back provide riders a plush and jar-free ride – the perfect thing for running around town or out and about in the country. 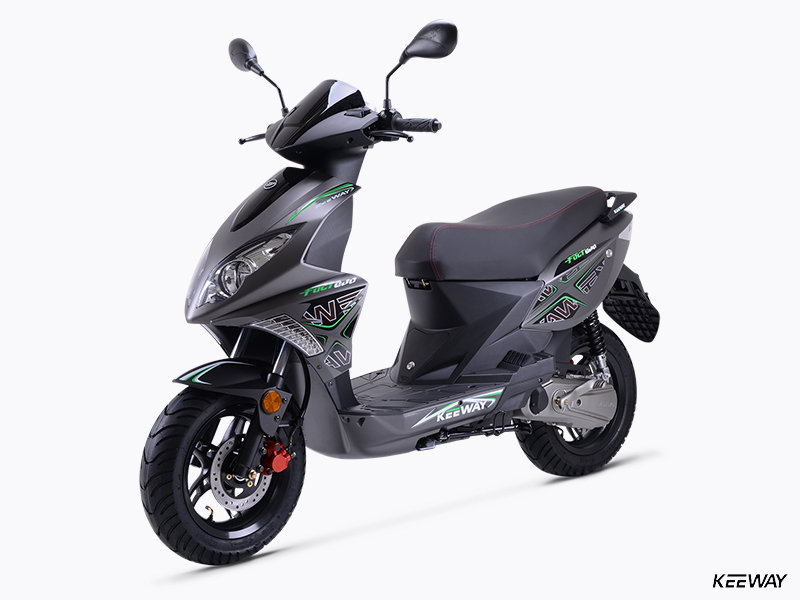 All-day riding is easy on the Evo 50 thanks to its comfortable, well-designed saddle, roomy riding position and supple suspension. 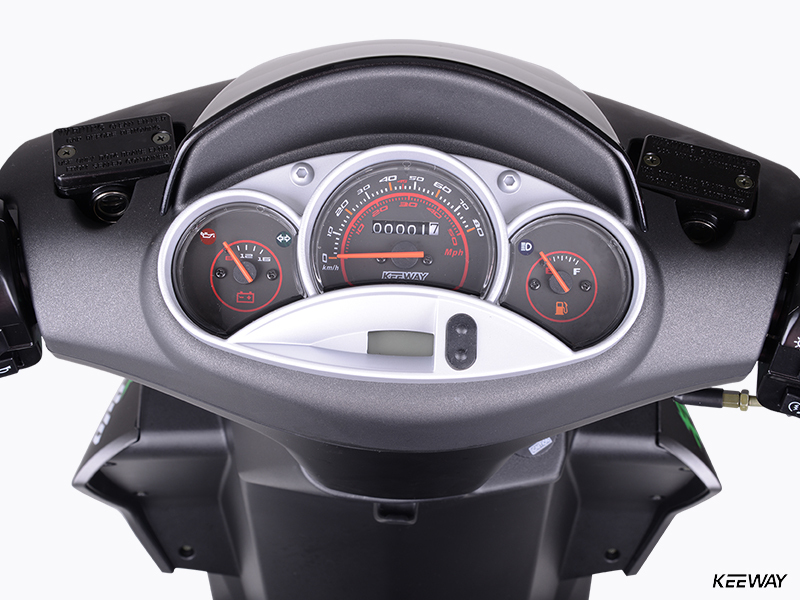 There’s also under-seat storage, and a luggage rack.